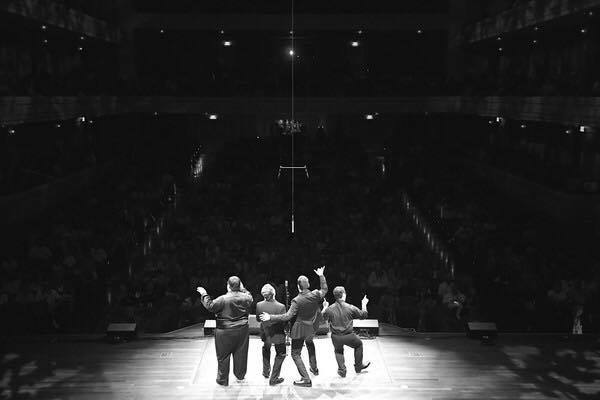 Currently, we have 1,444 registered quartets in the Barbershop Harmony Society. That means, approximately 5,776 (it is probably less since several men are registered in more than one quartet) members of our Society sing in a registered quartet. Can you believe that fewer than 22% of our current membership is enjoying this incredibly important component of membership? I can't either! As a matter of fact, I know it is more than that. We have hundreds of quartets in our organization who are not registered with the Society. Many ask the question, "other than to compete, what do I get for being in a registered quartet?" Let's help answer that. In the midst of worldwide financial issues, job instability, and an unstable outlook on the future, as a barbershopper, what better way to put all the troubles behind you and sing in a barbershop quartet! 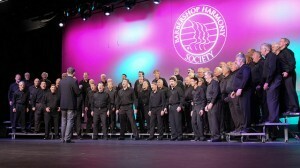 Although most of us barbershoppers enjoy our hobby while singing in a chapter, the Barbershop Harmony Society is a quartet Society first and foremost. There is nothing like the experience of quartet singing and ringing those good ole fashioned barbershop chords .... NOTHING! The enjoyment from singing your part on your own with three other guys singing their part on their own, the friendships formed while doing so, and the fellowship shared, are only a few of the reasons to sing in a quartet. It's mentally and emotionally the difference between "casual dating" and "marriage" - a committed quartet gets more out of the experience because they give more. So if you are singing in a quartet right now and are not registered with the Barbershop Harmony Society, we humbly ask you consider registering. As you can see above, there are many benefits. However, the largest benefit is probably the opportunity to help perpetuate the Society. As for those of you not yet in a quartet, get out there and start enjoying YOUR hobby to its fullest!